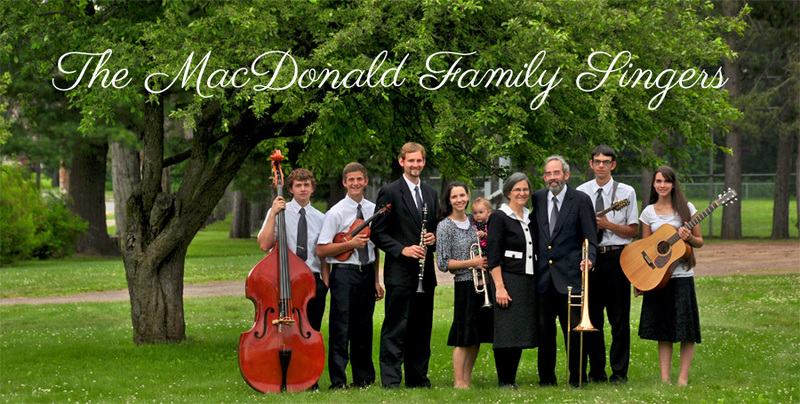 The MacDonald Family Singers is a ministry dedicated to spreading the Good News of the Gospel. There are no fees for concerts and we do not charge for CDs. We do accept donations. (Are you human?) What is 7 + 1? any feedback or problems with the website.